The ASRQ marks the first occasion that the HKRU have partnered with Ticketflap, owned by Magnetic Asia the organisers of the popular Clockenflap music series, to retail tickets for one of its premier international events. Ticketflap Chief Executive Officer Martin Haigh said, "Ticketflap is proud to be partnering with the Hong Kong Ruby Union to deliver a world class sporting event, which will culminate in the winner competing at the Summer Olympics in Rio de Janeiro." To ensure the strongest support for Team Hong Kong at the Hong Kong Stadium in November, the HKRU has priced tickets to make the event inclusive for the entire community. Ticket prices have been set at HK$200 for a single-day ticket and HK$360 for a two-day package. Admission is free for youth 12 years old and under, although children must still register their attendance via Ticketflap to receive their free ticket. The HKRU has also announced a 20% discount on ticket purchases for those referred to Ticketflap by one of Hong Kong's local rugby clubs. To avail themselves of the discount, supporters will be asked to enter a promo code specific to their club during the online purchasing process. The clubs have the option of using the discount as a fund-raiser for the club or to pass along the discount directly to their players and supporters. Each club will receive a specific promo code that can be used via the Ticketflap platform when purchasing tickets. League honours are not the only thing that HKRU domestic clubs will be battling for in the early part of the season as the HKRU has also created a competition that will reward the club selling the most tickets for the Qualifier with a 40-seat executive level corporate box for the ASRQ to incentivize attendance and participation. The Corporate Boxes on the Executive Level offer premium seating and viewing opportunities as well as access to the Executive Level Food and Beverage outlets during the two-day Qualifier. Fans can also purchase tickets on the Executive Level for the ASRQ with tickets retailing via Ticketflap at HK$ 1,000 for adults for a weekend pass and HK$ 500 for children in the premium seating areas.Daily Executive Level tickets will retail for HK$ 550 for Adults and HK$ 260 for children 12 and under. Seating will initially be restricted to the Main and Executive Levels and North and South Stands at the Hong Kong Stadium with upper levels to be opened depending on public demand. To purchase tickets please visit: http://www.ticketflap.com/en/events/653/. 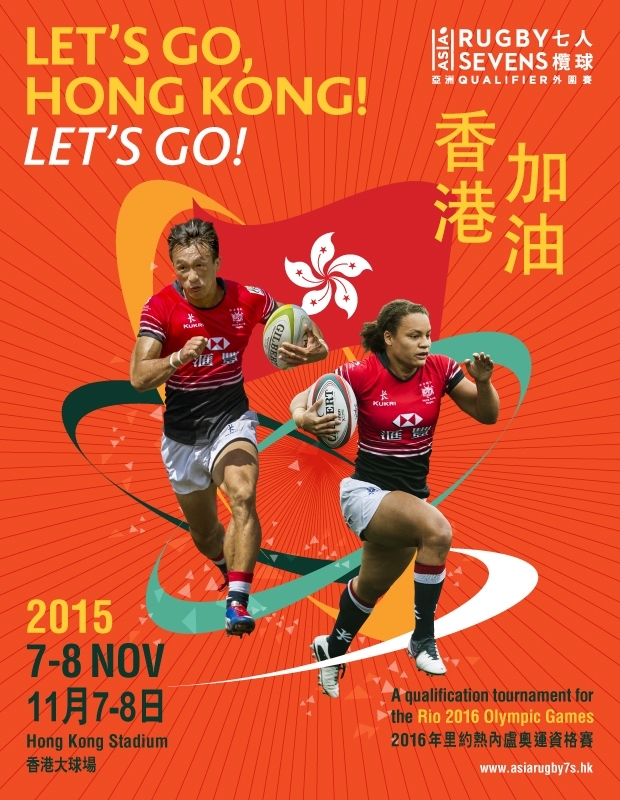 "The ticket packages are designed to make the Asia Rugby Sevens Qualifiers accessible to the entire community as part of the Hong Kong Rugby Union's commitment to filling the Stadium with fans supporting Team Hong Kong as they look to book their tickets to Rio in 2016," said HKRU Tournament Director Sam Pinder. The ASRQ will be the sole qualification event for the region's top men's teams to the Olympic Games in 2016 where Rugby Sevens will make its debut. Twelve men's teams and eight women's teams will take part. 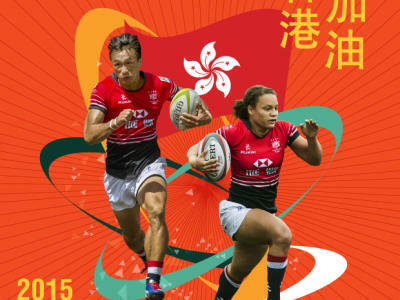 Hong Kong are the reigning men's sevens champions after sweeping all three tournaments on last year's Asian Sevens Series, while the Hong Kong women's team finished third overall behind China and Japan last season. Asia's top women's teams will play in a two-leg series in 2015, with the Hong Kong tournament followed by a women's only competition in Tokyo in mid-November. Results from the ASRQ in Hong Kong will be factored in with results from the second leg of the qualification series in Tokyo to determine the team to qualify for Rio. The ASRQ will be preceded by the men's and women's Asia Rugby Sevens Series, which starts in September. A total of 24 teams, (12 men and 12 women), will qualify for the Olympics through a variety of competitions. The top four-ranked teams from the (men's) HSBC Sevens World Series and (women's) World Rugby Women's Sevens Series have already booked their places in Rio next year. Those teams are Fiji, South Africa, New Zealand and Team Great Britain in the men's competition and New Zealand, Canada, Australia and Great Britain in the women's competition. Brazil men's and women's sevens teams have automatically qualified as hosts. Regional qualifiers like the ASRQ are being held worldwide through November when Asia and Africa's tournaments take place. Each of these Regional Qualifiers will send one men's and one women's team through to Brazil. France, USA and Argentina have qualified from their regional competitions while France, USA and Colombia have qualified from the women's regional competitions bringing the total number of qualified teams in their respective tournaments to eight of 12. With regional competition still to come in Oceania, Africa and Asia, by end November 11 teams will have qualified across both the men's and women's tournaments. The last spot available for men and women will be decided by a 16-team cross-continental 'repechage' tournament where the best nations still not qualified will play off with the men's and women's champions securing their ticket to Rio. This tournament will be played by the end of June 2016.Asia will have three places in this competition.